In this issue: an ancient conspiracy exposed, a genius living in low-Earth orbit, and balancing at the tipping point of interplanetary war. All that plus a new anthology announcement. A centuries-old cabal seeks to impose its vision of society based on genetic rank. If the conspiracy is to be exposed, off-planet spy Anton Zilwicki of Honor Harrington’s Star Kingdom and agent Victor Cachat of Haven must run a gauntlet through an underworld of brutalized slaves conditioned to obey their overlords without question. If Zilwicki and Cachat succeed, a great evil will be removed from the galaxy—and on a long oppressed planet, freedom may finally dawn. Sequel to Torch of Freedom and Crown of Slaves. 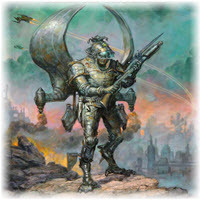 With Earth and Yavet locked in an interstellar Cold War, the telepathic grezzen species could hold the key to survival. Now with the help of a grezzen ally, covert ops Captain Janzen Parker and his lover and partner Kit Born must penetrate the depths of Yavet, the universe’s most insular and repressive world, and foil a plot that could make Cold War II hot and nuclear—and a catastrophic for humankind. Sequel to Undercurrents. 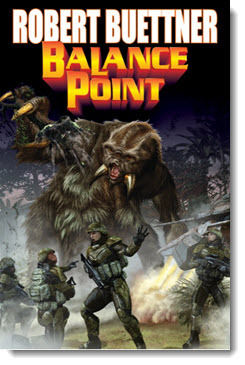 We’re excited to announce a new anthology series from Baen Books. The Year’s Best Military and Adventure Science Fiction will shine the spotlight on the sort of hard-hitting, action-packed stories that Baen readers love—and that make science fiction so darn fun. Reading for the first volume, which will cover 2014, is already underway. 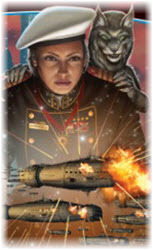 To learn more, read the full press release for The Year’s Best Military and Adventure Science Fiction here. In one paragraph, tell us the best way aliens bent on human subjugation and conquest could hide among us and attempt to take over the world. Then, in a couple of sentences, suggest the best countermeasure. Wackiness counts, but clever is better. And, if you are convincing enough, we may all want to take due action based on your scenario! 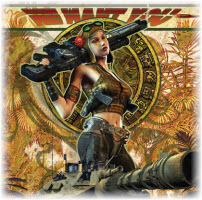 Fascinating conversations with your favorite Baen writers about the books you love. 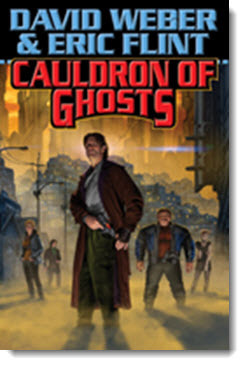 Coming this month: an interview with Robert Buettner on his new Orphan's Legacy novel Balance Point, a discussion on Robert A. Heinlein's Waldo & Magic, Inc. with World Fantasy Award winning author Tim Powers, and a two-part interview with David Weber and Eric Flint discussing new Crown of Slaves series novel, Cauldron of Ghosts. A vast, ancient conspiracy is beginning to be exposed. But for freedom to finally dawn on the planet of Mesa Anton Zilwicki of the Star Kingdom and Victor Cachat of Haven must first get the evidence off-planet without getting themselves killed in the process. Lost in space, and from one another, covert ops Captain Janzen Parker and his sharp-shooting lover Kit Born must each penetrate Yavet, the universe’s most insular and repressive world, then foil a plot that could turn Cold War II hot and nuclear—or die trying. A new entry in the Orphan’s Legacy series. Two classic tales, with a new introduction by Tim Powers. Waldo: North Power‑Air is in trouble. Desperate for answers, they turn to Waldo, a crippled genius who lives in a zero‑g home in orbit around Earth. Magic, Inc.: Magic, Inc. is systematically squeezing out the small independent magicians. But one man stands firm. Last month, we asked you for bumper sticker slogans suitable for affixing to Royal Manticoran Navy ships. Congratulations to Holger Vissing Bjerre! If you can read this, you are too close in range of my Grav Lance! And congratulations to Eric Hansen! Eric wins a signed leatherbound copy of Eric Flint's 1632 for telling us his story of discovering the Ring of Fire series. 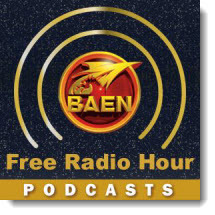 Don't forget to check out the newest ebook releases here, plus Baen.com free fiction from Robert Buettner here. Also, don’t miss the monthly free nonfiction, article, “Rendezvous and Docking: A User’s Guide for Non Rocket Scientists (Part 1)” by Terry Burlison here.